The thing about connecting the news with film is that it tends towards the political, and the seemingly-obvious thing to talk about this week is Trayvon Martin, George Zimmerman, Florida’s Stand Your Ground Law. It’s also one of the hardest things to talk about this week. How to begin to talk about something so charged, where an entire country seems to hold incredibly strong feelings and thoughts about this incident, and second-order thoughts and feelings about those as well – the one thing that seems undeniably clear is that this is complicated. Some people might respond that Zimmerman is guilty of the second-degree murder with which he was charged, and therefore it isn’t complicated. But even that response – the fact that there is such an extensive response – is a testament to the fact that the outcome of the events that night in 2012 have an aftermath, and even when the facts of the incident itself seem clear, the ripples that it made and continues to make are part of its complexity. It’s complex, among many other reasons, because we’re dealing one the one hand with “facts” of a concrete occurrence and the way that they work in the legal system, and on the other hand with overwhelmingly big ideological concepts and conversations and the way they work in a social milieu, or really, a messy network of intersecting social milieus that together make up the United States today. I’ve been scouring the media trying to make sense of this for myself, and I think that President Obama, in his press conference speech earlier today, really does address the situation and its complexity with grace, compassion, and a sort of honesty that isn’t always what we expect from politicians. It is well worth watching. Speaking in deeply personal terms, he both acknowledges the grief of Martin’s family, and the need for us, as a nation, to find ways to move on, to address what we can in the present, to make change in a positive and lasting way. And that’s one of the most important things that is surfacing in this complicated aftermath: conversation. It is a conversation about race, as many in the mainstream and social media are focusing on, and it is also a conversation about guns, about laws, about conflict resolution and gender ideology and masculinity and socio-economics. And race. One of the notable parts of Obama’s speech is his acknowledgement that politicians may not be the best people to be leading conversations on race, saying that “they can end up being stilted and politicized.” But while politicians may avoid organizing them, these conversations are sometimes taken up by filmmakers. 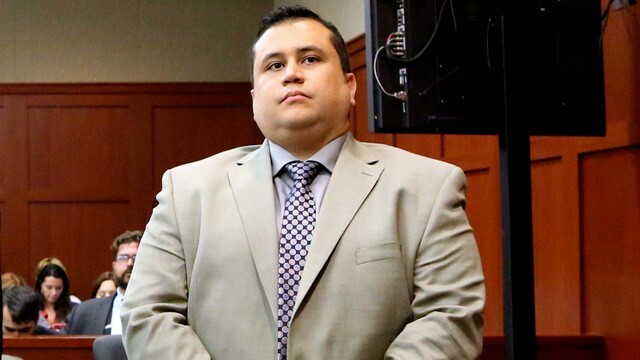 Every story has multiple sides, relayed by fallible humans to other fallible humans – a thought that perhaps bears upon a case like that of George Zimmerman and his plea of self-defense in which is his own word served as primary evidence. One way that film can be like the news is its potential for presenting these multiple sides, and one film that does this in a haunting and revolutionary way is Errol Morris’ 1988 documentary The Thin Blue Line. If connecting the news with film tends toward the political, then it is worth noting that this documentary has been dubbed “the most political work of cinema in the last 20 years” by Variety. In The Thin Blue Line, Morris (whose worked was showcased in a retrospective in 2000 at the Walker, and who brought his film Standard Operating Procedure to the Walker in 2008) investigates the death of Robert Wood, a Dallas police officer, who stopped a stolen car one night in 1976 and was shot twice and killed by someone in the car. The film is constructed from Morris’ interviews, with his famous Interrotron, with the man convicted of the crime, the other man in the car at the time, and various witnesses and detectives involved with the case. It is also notable for its multiple staged reenactments of the shooting based on testimony from different interviewees, re-creating in hauntingly cinematic images the possible narratives of that night, but interestingly choosing to omit a visualization of the “true” series of events that Morris seems to be leading us towards with the film. Though he made the film after the case had been closed, its production and release prompted a re-opening of the case which complicates and challenges the way that film reflects or even affects the ‘real world’, and the ways in which it can be incredibly political. The Thin Blue Line is available to stream and on DVD/Blu-Ray from Netflix. If you’re looking for other challenging films to see in the coming weeks, look no further than the Walker Cinema, two weekends from now. 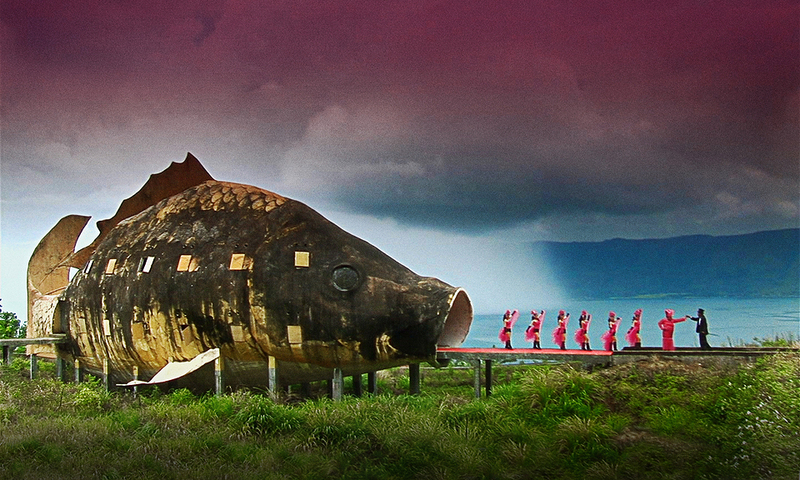 Errol Morris has recently served as producer, along with Werner Herzog, on Joshua Oppenheimer’s much-anticipated The Act of Killing, which also structures itself around the reenactment of difficult, ethically-complex subject matter. The Act of Killing will be screening Wednesday, July 31 at the Walker Cinema as part of a series spanning several days, called Filmmakers in Conversation: Joshua Oppenheimer with the Act of Killing, that also includes a screening of the much-longer director’s cut and a workshop with Oppenheimer (who will be in attendance at all three events) on Saturday afternoon, August 3.